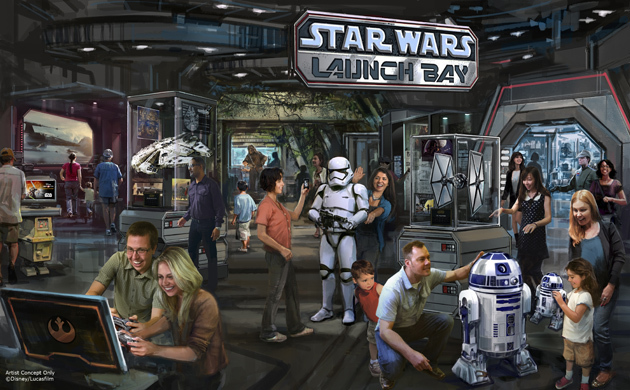 “Cast Member” auditions are beginning for Disneyland’s Star Wars: Launch Bay! Note: Check in begins at 1:30 that day! This could mean that Disneyland annual pass holders will be seeing the exhibit around November. As an annual pass holder, MakingStarWars.net will be there to provide you with all the coverage of Star Wars at Disneyland now and in the future! This is your chance if you live in SoCal to become a part of the Star Wars universe for a living (provided you are 6’1 or taller). Thanks to Jeremy for the heads up!